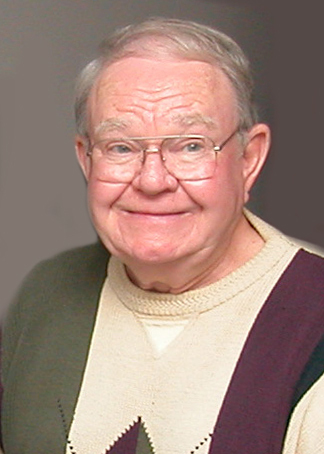 Jerry Robert Pittman, 86, of Buffalo, Iowa, passed away on Tuesday, April 2, 2019 at the Clarissa C. Cook Hospice House in Bettendorf, Iowa. A memorial service to celebrate his life will be held at 1:00 P.M. on Friday, April 5, 2019 at McGinnis-Chambers Funeral Home in Bettendorf, Iowa. Visitation will be from 12:00 P.M. until the time of the service at the funeral home. Private family inurnment will be at Rose Hill Cemetery in Buffalo, Iowa. He was born August 8, 1932 in Buffalo, Iowa, the son of Steven and Lona (Stringfellow) Pittman. In 1954, he was united in marriage to Mary Hartley. Jerry served as a medic in the Armed Forces during the Korean War and served honorably. He was employed in maintenance at Alcoa for several years. Jerry enjoyed flying ultralight aircrafts, riding motorcycles, boating, working on cars and anything with a motor and camping. Those left to honor his memory include his wife, Mary; his daughters, Diane (Eric) Berseth of Otisco, Indiana and Deborah Ellis of Davenport; his son, Steven Pittman of Phoenix, Arizona; his grandchildren, Nicole Sullivan of Bettendorf, Jason (Brandy) Baxter of Cedar Rapids and Tiffany Webb of Davenport; along with numerous great-grandchildren. He was preceded in death by his parents, and his brothers, Max, and Jack Pittman. Online condolences may be expressed to the family by visiting Jerry’s obituary at www.McGinnis-Chambers.com.